She's 23 years old, but her petite frame makes her look like a teenager. Her bright eyes and friendly smile can easily hide the horrors she has lived, unimaginable physical and mental abuse that almost took her life. She calls herself Zunduri, although that's not her real name. It's a name she adopted after regaining her freedom, a term that means "beautiful girl" in Japanese. Zunduri says it all started when she ran away with her boyfriend at age 17. 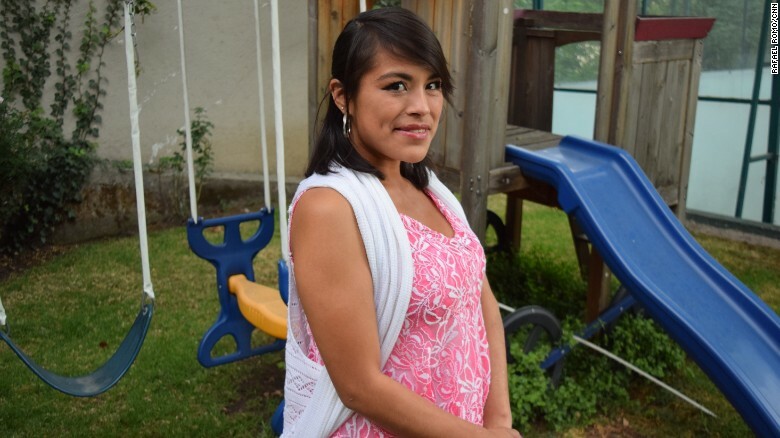 The relationship quickly fizzled and she found herself homeless in Mexico City. Instead of returning home, she found food and shelter with a lady who owned a dry cleaning shop in the Mexican capital's south side. Zunduri says, in addition to being physically abused, she was also brainwashed. The message was always the same: "You're worthless." She's shown here after her escape. It was a family business. The mother owned the cleaners and was helped by the father. Two daughters occasionally helped. There was also a sister of the owner's with two children. At the beginning, Zunduri says, the dry cleaner's owner treated her so nicely she started calling her "mom." But little by little, the amount of work she was asked to do increased. First, it was doing domestic chores around the house, but not the cleaners. Then it increased to ironing clothes a few hours a day, which eventually turned into 16-hour shifts. Occasionally she would iron clothes for as long as 20 hours a day, she said. As the workload increased, the amount of food she was allowed to eat decreased. She says one time she went five days without eating anything and was so hungry she would chew on the plastic bags she used for laundered shirts. She survived on the little water she could take out of the iron, she said. By then she was already sleeping on the floor. The heavy workload was followed by beatings. "The first time she started kicking me. Then she said, 'You have no right to talk back because I'm like a mother for you. If you call me 'mother,' you have to understand that mothers discipline their children,'" Zunduri said. Zunduri said, in addition to being physically abused, she was also brainwashed. The message was always the same: "You're worthless." "She always tried to put things in my head like, 'Your mom doesn't love you. If she loved you, she would be here with you. If she loved you, she would've taken you back. The guy you left with didn't love you either. He couldn't stand you because you're worthless as a woman,'" Zunduri said. Finally, when she felt she could no longer take more beatings or humiliation, she says things got much worse. Her captor put her in chains. "She told me, 'This is how animals like you should be treated' and she grabbed me and put the chain around my neck. I could only say 'No, this is unnecessary. Don't treat me like this. Don't do it,'" Zunduri said. The chain then moved to her waist, so that she would still be able to iron clothes, Zunduri says, estimating that she spent six months in chains. After five long years in captivity, Zunduri was finally able to escape in April 2015. Zunduri is now celebrating her first year of freedom. After five long years in captivity, she was finally able to escape in April 2015 when the woman who enslaved her left the chains a little loose. Human rights attorney Maria Teresa Paredes, one of the first people to see Zunduri after she escaped, said she was horrified when she saw the victim's injuries. "There was not a single part of her body without a scar or wound. She also had scratches and bruises. She had also lost a lot of hair," Paredes said. Actress and human rights activist Karla de la Cuesta, who is now a close friend of the victim's, says Zunduri was also tortured. Her captors would frequently use the iron to burn different parts of her body. Zunduri, 23, consults last year with a plastic surgeon in Mexico City. "She tells me that her captors would peel off the scabs from her skin. When she was healing from her burns and scabs would appear, they would yank them off so that they would bleed again. "They would scratch her neck with their fingernails. Her head was badly injured as well. 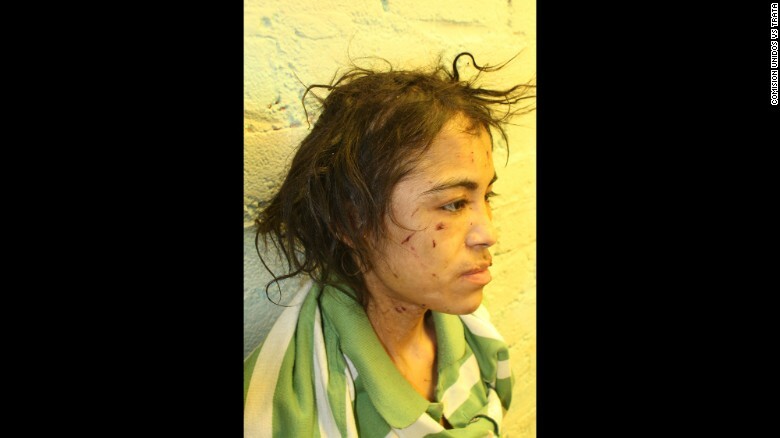 They used the iron to burn her in the head," de la Cuesta said. After Zunduri escaped and her case came to the attention of authorities, police raided the house where she had been held captive. Seven people were detained, including two minors. The two minors were later freed, but the five remaining adults remain behind bars and face charges of human trafficking and exploitation, punishable by at least 40 years in prison. Juana Camila Bautista, a special prosecutor in charge of combating human trafficking in Mexico City, said every single member of the family mistreated Zunduri in some form, even the children. Bautista also said investigators verified Zunduri's testimony. Blood stains found in multiple places around the dry cleaners matched Zunduri's DNA. Zunduri, Bautista said, was starving to death. "She had very advanced levels of anemia and the doctors determined that her body and her internal organs were similar to those of an 80-year-old person," Bautista said. Zunduri has undergone a number of medical procedures as part of her recovery. She told her story to Mayor Bill de Blasio in New York. 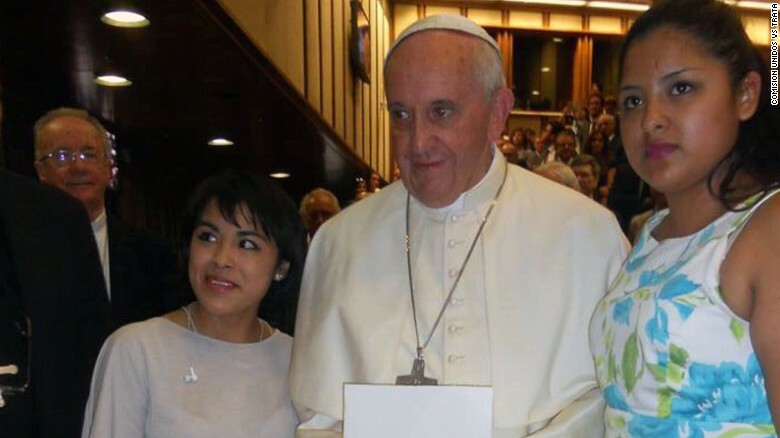 She traveled to The Vatican last July to meet with Pope Francis. She has also traveled to other countries, such as Argentina, where she openly talks about her story of slavery. Her dream is going to culinary school to become a pastry chef. She wants to open her own bakery someday. Zunduri is a victim, a survivor. But when you see her friendly smile you realize that in spite of everything she went through, her spirit remains undaunted.